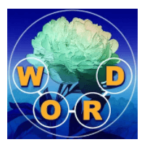 You can find here the answers of Bouquet Of Words, the new amazing and attractive android word game developed by IsCool Entertainment, a good puzzle for all Word gamers, it helps our brain and train our neurons. We have fixed all the crosswords and finsihed the game. These levels are fully completed so you can count on this topic to do so. I will provide some hints in addition of the answers at the bottom of this page so keep reading. – Simple and intuitive: slide your finger over the letters to make a word. – Uncover beautiful backgrounds created by world-renowned artists! – More than 1000 puzzles in 8 different languages. – Continuously improved via updates. – Thousands of hidden words to uncover thanks to incredibly expansive dictionaries. Each bonus word you find earns you coins. – Play off-line, anywhere, all the time!